If you're on the lookout for a healthy dessert, this is it! 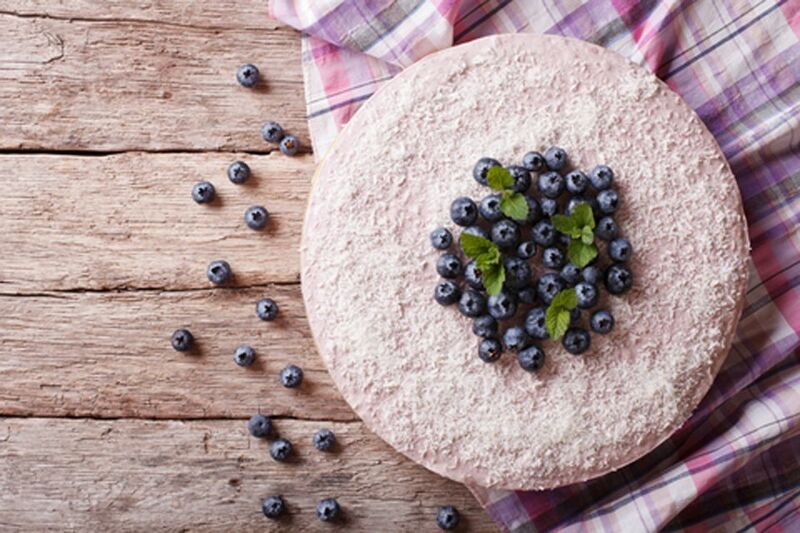 Light and low-carb, this cake also offers valuable antioxidants in the form of Japanese green tea. Green tea is known to ward away cancer, rheumatoid arthritis, high cholesterol levels, cardiovascular disease, plus help boost your immune system. This green tea cake is great for a potluck, dinner party, afternoon tea, or simply as an everyday treat that even your kids will love. Preheat oven to 350 F. Prepare an angel food cake pan (or a 9-inch cake pan), either by greasing it well, or lining it with parchment paper. Crack eggs into 2 separate mixing bowls, with the egg whites in one bowl and the yolks in another. Add the salt and sugar (or sugar substitute) to the yolks and stir well until smooth. Add the coconut milk, oil, and vanilla to the yolks, and beat until mixed in (or stir it well). In a 3rd bowl, stir together the flour, baking powder, and green tea powder. Now add (or sift) this into the yolk mixture. Stir well or beat to incorporate. Note: the batter will turn green from the green tea - this is the effect you want. Now fold in the egg whites, stirring and mixing by hand and just until egg whites have dissolved into the batter (do not overmix). Pour the batter into the prepared pan and place in the oven for 25 to 35 minutes (depending on your oven). Check the cake after 25 minutes by inserting a fork into the center of the cake. If it comes out clean, it's done. (Note: the center should form a peak - if it is concave, your cake isn't nearly finished). Decorate the cake with a sifting of icing sugar. Add toasted coconut or some blueberries and mint, as shown, for extra health benefits. Serve warm or at room temperature and enjoy!